A bump in Model 3 deliveries provided a rare glimpse into what a profitable Tesla looks like. Whether it is sustainable is being debated but the electric car maker did increase production and revenue in the third quarter. “Sufficient Model 3 profitability was critical to make our business sustainable—something many argued would be impossible to achieve,” CEO Elon Musk said in a letter to investors, noting Tesla built an average of 4,300 Model 3s a week during the quarter. 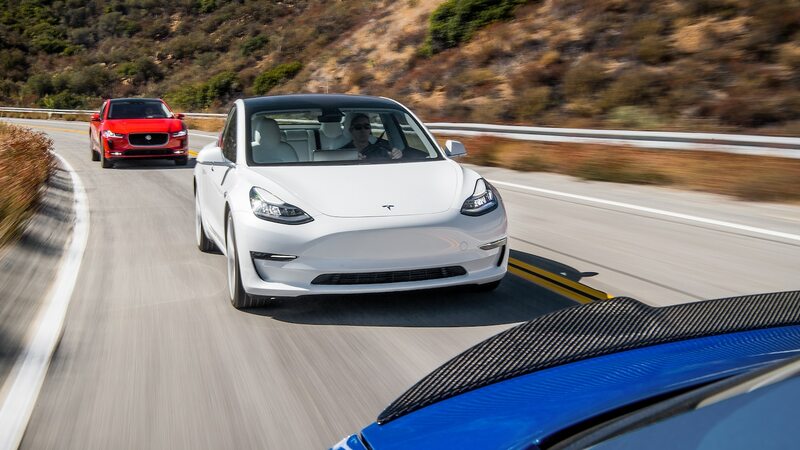 Tesla added an all-wheel-drive version of the Model 3 during this period, as well. Musk said 56,065 Model 3s were delivered in the quarter with a starting price of $49,000, and work continues on the promised but elusive $35,000 Model 3. 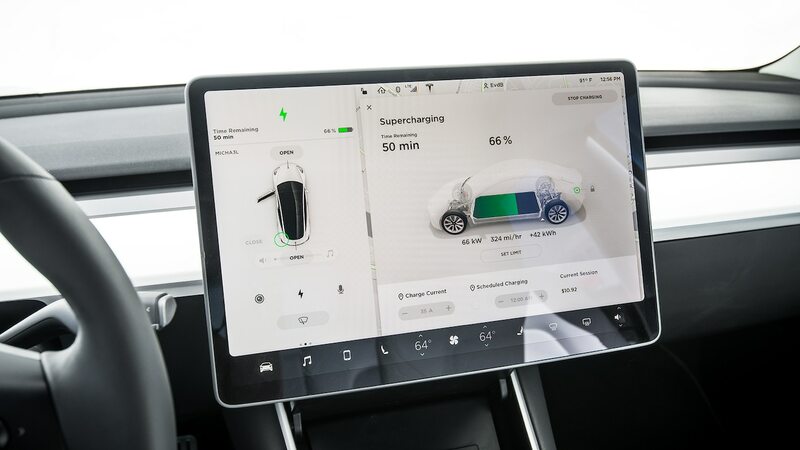 Getting the more affordable model, with a smaller battery, into production will take a bit more work and time but the $35,000 version might be available in February or March, the CEO said on a call with analysts and media. “If we could do a $35,000 car today, we would do it.” So far the lowest-priced option is a $46,000 version with an estimated 260-mile range. Musk says less than 20 percent of the 455,000 reservations in August 2017 have cancelled their orders despite the long waits and higher price. On the other end of the spectrum, Musk and his team said work continues on the enhanced Navigate by Autopilot system where the car has a programmed destination and makes lane changes and takes exits as plotted by the navigation system. He said customers need not wait until next spring to order their cars if they want this capability. A vehicle purchased in the last two years can be brought in for service a year from now and receive the computer upgrade in about half an hour. And with so many autonomous vehicles on the road in the future, he said a long-term plan includes using Teslas as a ride-hailing service. Per usual, Musk continued to tease future products. He said he is most excited about plans for an electric pickup. And he said he recently approved production of the Model Y crossover that will be in volume production in 2020. Consumer Reports today said the Model 3 is the only Tesla it feels it can recommend, based on its road tests and surveys. In terms of reliability, the Model X is the second worst vehicle in the annual survey of owners and the Model S has fallen to the point it can no longer be recommended. As a brand, Tesla ranks 27 of 29 in reliability, which has not dampened owner love of their Teslas, the magazine testers say. Musk said he will start taking Model 3 orders later this year for customers in Europe and China and he has plans to build plants in both countries. The plant in China will initially build two models: the Model 3 sedan and Model Y with annual capacity of 250,000 vehicles, according to Reuters. Musk said long term he foresees up to 1 million global sales of the Model 3 to directly compete with the high-volume BMW 3 Series and Volkswagen Golf. This is the last time Musk will address analysts as chairman, a title he will abdicate for three years as part of a settlement of civil fraud charges by the Securities and Exchange Commission that also included $40 million in fines to be paid by Musk and Tesla. The charges followed tweets that Musk was taking the company private, something he later decided against. Shares jumped to $387 on the prospect before tumbling below $300. They have been on a roller coaster ride, reacting to a series of erratic moves by Musk himself and questions about his ability to lead the company and inability to overcome manufacturing obstacles. They jumped in after-hours trading on news of the strong quarter. Musk said he would not answer questions related to choosing a new chairman. It was a rare profitable quarter for Tesla—there have only been two others since 2010—the automaker had a net income of $312 million for the third quarter, a big uptick from $619 million in losses a year ago. The company increased its total cash, which is crucial given that Tesla has more than $1.3 billion in debt maturing over the next six months that must be paid or refinanced. The post Tesla Posts Rare $312 Million Profit in Q3 Thanks to Model 3 appeared first on Motor Trend.